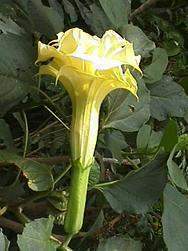 Datura Ceratocaula is the rarest and most unique of the daturas. This aquatic/semi-aquatic annual is often found in shallow water or swamps in Mexico where it is known as torna-loco or maddening plant. 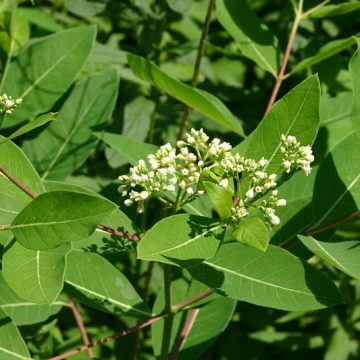 The Aztecs, who called it Atlinan, held ceratocaula in high esteem as one of their most sacred religious plants and reserved its use as a prophecy tool strictly to high priests. Despite its religious use, the mind-altering effects of all daturas are due dangerous toxic compounds that most people would find extremely unpleasant and could easily result in hospitalization or death if ingested. It is perhaps for that reason that its use even in native practice was limited. 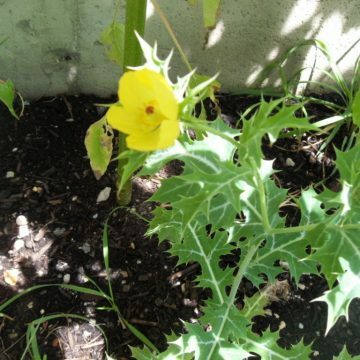 According to a report by Strahil Berkov (Department of Applied Botany, Institute of Botany, Bulgarian Academy of Sciences), this species is believed to be a connecting link between daturas and brugmansias. 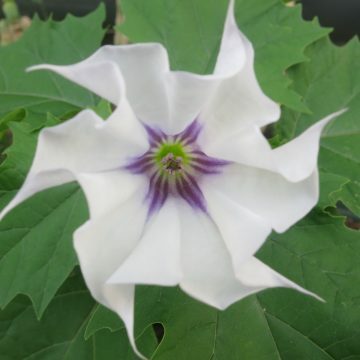 Torna Loco differs from the typical thornapple, which is a name that applies to several of the more common species of datura, in that its egg-shaped seed pods are smooth. 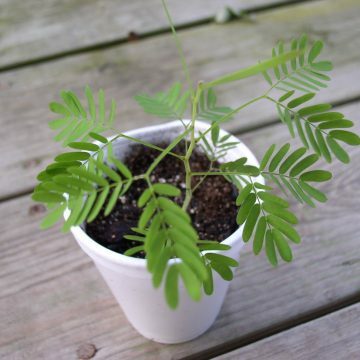 It reaches an average height of about three feet and has thin leaves with silvery bottoms. Ceratocaula’s EXTREMELY fragrant, trumpet-shaped flowers bloom during the day and typically measure from four to seven inches. They are white traced with lavender around the circumference of the flower’s edge. 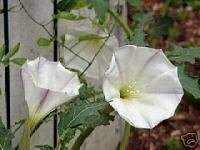 This is perhaps the most prized by plant collectors and all-around aesthetically pleasing datura species. Growing Information: Although this is an aquatic/semi-aquatic plant, it will tolerate regular garden soil that is kept moist. Planting in shallow water is even better. The plant prefers to be in a warm, sunny location. The seeds have been treated with GA-3 (available in our Gardening Supplies section) for increased germination and can be sown directly at a depth of 1/8 inch or transplanted once the seedlings have developed a few sets of true leaves.